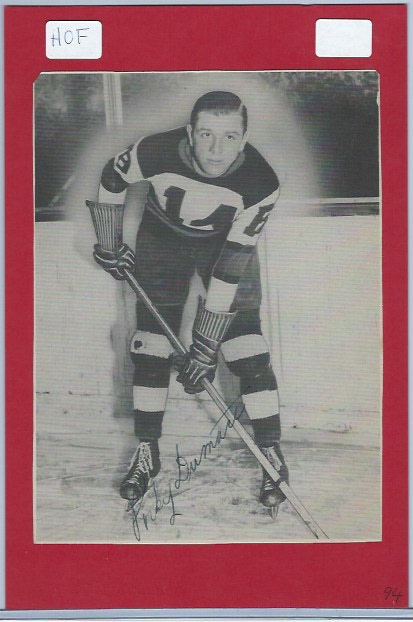 Beautiful presentaton of Hall of Famer Porky Dumart of the Boston Bruins. 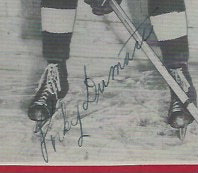 Autograph done on 1939-40 OPC card that was transferred onto red backing. This is not a Beehive. Fountain pen signature with no personalization.